Americans and guns go together like peas and carrots – Although firearms have always been a major part of American culture, the number of gun owners is rising higher and higher every day. In fact, a recent Pew study found that nearly four-in-ten households in the States have at least one gun in the home. And while sport, hunting, and collections are all popular reasons to own a firearm, almost 70% of gun owners said that home protection and self-defense is a major reason for putting the 2nd Amendment to good use. That being said, it’s crucial for gun owners looking to keep their families and homes safe to choose the right firearm, caliber, and ammunition. In today’s Gunivore Fast Five, we’re gonna be taking a look at the best options on the market for standing your ground. 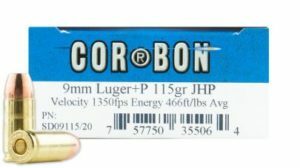 I’ve heard plenty of folks jump to the conclusion that bigger must be better and therefore opt for the biggest and most powerful cartridge possible. The main problem with this outlook is that, in many cases, one shot is not enough. You have to keep in mind that the stronger the bullet, the stronger the kickback. However, the best way to mitigate the perceived recoil is to use a full-sized firearm. More specifically, the more mass a gun has the more control it will provide. .38 Special- You can’t help but love a classic! I love .38 Special first and foremost because it has withstood the test of time and proven itself day in and day out. 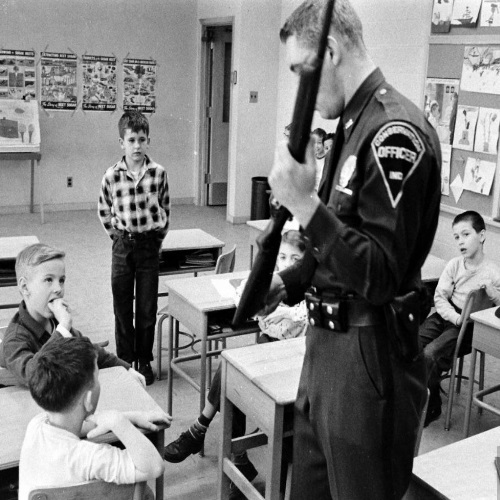 The famous Smith and Wesson round served as the standard issue cartridge for American law enforcement for decades, and reasonably so. While .357 Magnum is more powerful than .38, I chose to leave it off this list. .38 Special is not only cheaper than its S&W cousin, it also offers lower recoil and muzzle flash, both extremely important factors in a home-defense situation. Plus, now that most new .357 handguns are capable of firing .38 special rounds, it’s become one of the most versatile calibers on the market. If you’re a fan of the .38 Special & .357 calibers, check out the top new revolvers and Taurus’ sweet lineup. 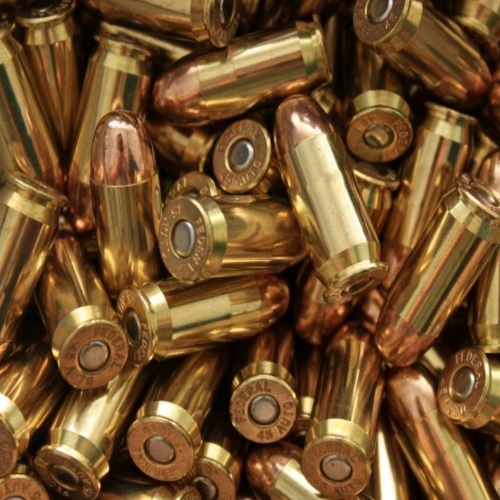 The 9mm not only replaced .38 Special as the most common military and police standard issue cartridge, it’s also become the most popular self-defense calibers in the world. Although the German-designed 9mm has a bigger kick than the American .38 Special, it easily makes up for it by being cheaper and more readily available. 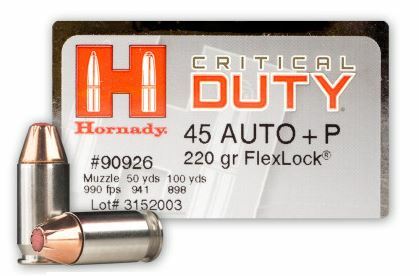 Overall, 9mm is a straightforward, accurate, lightweight, and easy-to-shoot cartridge. For some of the best-selling and most impressive 9mm pistols, check out the S&W M&P9 Shield, Sig P320, & of course, the Glock 19. 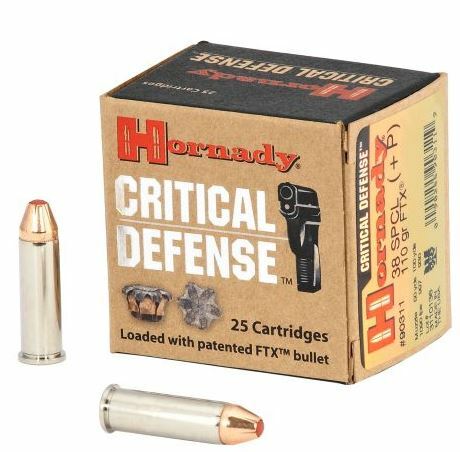 This is what I call the “compromise cartridge” – .40 S&W is perfect for people who don’t want to sacrifice power or capacity. In fact, it sits between 9mm and .45 ACP in its velocity, price, weight, and recoil. 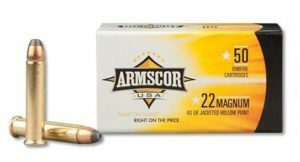 .40 S&W was and remains to be popular amongst law enforcement and self-defense shooters, but its overall availability is dwindling. 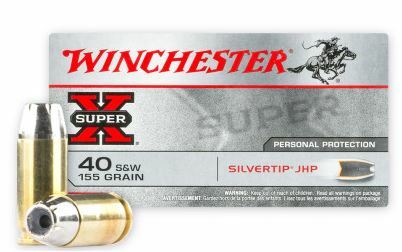 Even though the .40 S&W offers decent control, I don’t recommend the American cartridge for inexperienced shooters. If you like .40 S&W then you’ll love the Beretta Px4 Storm, Kahr CM40, & the Springfield XDM. As much as I wanted to avoid picking this notoriously loud and powerful caliber, I can’t deny its incredible abilities. That being said, .45 ACP has the potential to be more of a liability in the wrong hands. The same way you’d never graduate a kid from a tricycle to a motorcycle, this powerful cartridge should never be the self-defense choice for an inexperienced shooter. 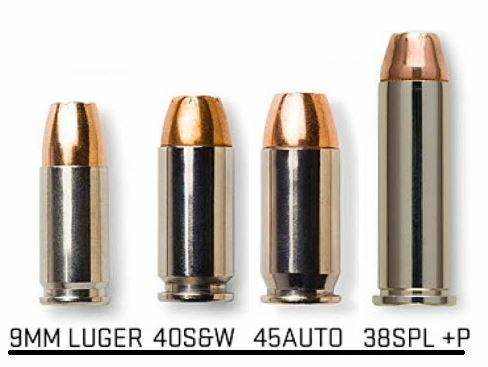 Surprisingly, .45 ACP actually has better penetrative abilities than .40 S&W but barely any better expansion. 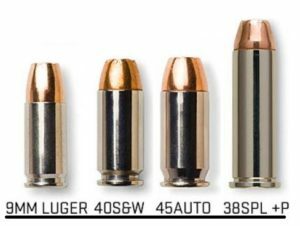 And while there is a major weight difference, there are plenty of .45 ACP firearms that chamber a comparable amount of rounds to .40 S&W guns. This new cartridge is the brainchild of custom gunsmith Fred Craig and the up-and-coming Rock Island Armory (Armscor). While it may seem like a Frankenstein caliber, he developed it to be a more affordable alternative to .45 ACP without having to sacrifice much power. One of the strangest things about the new round is that although it feeds into 9mm 1911s, it shares no connection to the Parabellum. As a matter of fact, its parent case is the legendary .223 Remington but redesigned with a shorter bottleneck. Overall, there are really no objectively right calibers to choose for self-defense. Rather, gun owners must assess these five factors to determine what’s best for them. 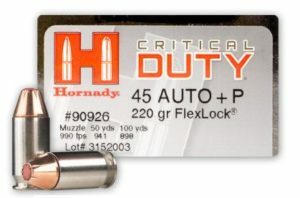 Likewise, shooters must take into account whether this is a carry gun or only a home-defense weapon, which may affect your choice to use hollow points. Furthermore, it’s inarguably important to go with what you’re comfortable with. This means that if you are the most confident with .357, .44 Magnum, or whatever, that might be your best option. Stay safe, my friends. Thanks for reading – You might also like our Top shooting records, Best new AR-15’s, Top CCW’s of 2017, & Automatic Weapons Rundown.